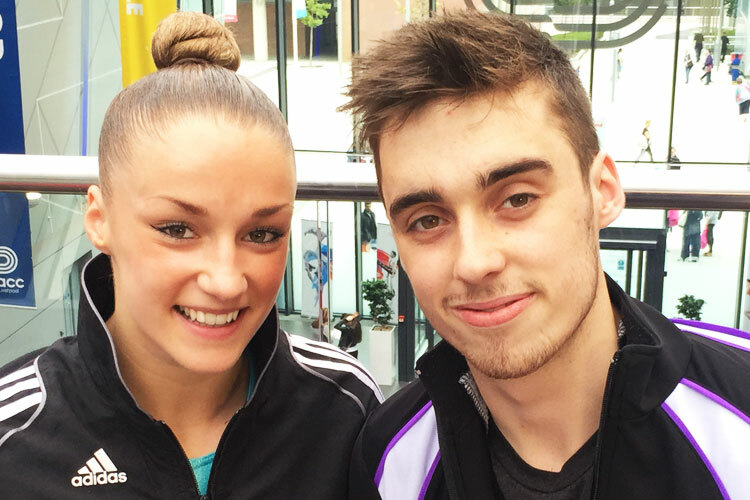 The second day of the British Gymnastics Championship Series at Echo Arena, Liverpool saw the coveted senior aerobic British titles decided. Kayleigh Silva defended her women’s individual title in a tight contest against her Team GB teammates scoring 20.800 for her routine for gold ahead of Ella Augier with 20.300 and Chloe Farrance scoring 20.100.In the men’s event Matthew Saunders scored 19.000 to take gold. The senior trio British title when to Bulmershe (18.955) with Weston taking the pairs (18.550). The senior rhythmic gymnastics apparatus titles were also decided following Thursdays all-around event won by Laura Halford. Laura continued her fine form taking the hoop (16.050) ball (15.950) and clubs (16.000) titles with Stephani Sherlock winning with ribbon (15.250). Alongside the senior events in both rhythmic and aerobic were numerous juniors and age-group competitions with superb performance by our rising stars. For full results from all events click here. The Championships Series continues with the acrobatic and TeamGym British Championships over the weekend along with the Liverpool Ministrada event, more information is in our event guide.